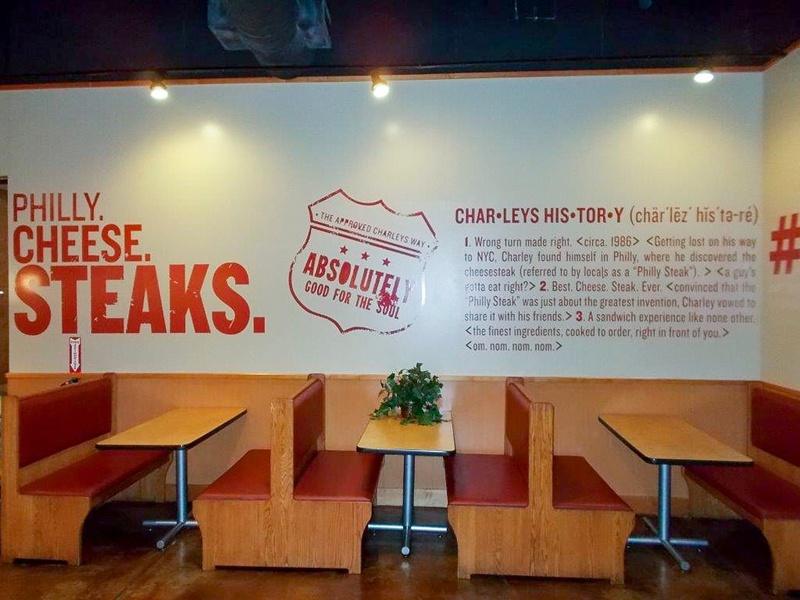 Combining permanent and temporary graphics can help keep your QSR/Fast Casual Restaurant looking fresh all year long. At The Vomela Companies, our experts use different substrates, adhesives, and materials to offer creative solutions to meet the needs of your restaurant. Ceiling: What color is your ceiling? Height? Visibility around corners? Lighting: How will signs look under the light? Is it close to a ceiling, window, or other light source? What kind of light (natural, fluorescent, etc) is right for your space? Material, print, & ink: Matte vs. glossy? A glossy print or material may not work well with your lighting. Do your colors contrast in relation to ceilings/walls/window? Will the ink be exposed to sunlight? Adhesives: Your more permanent graphics may need more aggressive adhesives and sturdy materials. Temporary items can use low-adhesive or interchangeable systems. Cost, Quality, Longevity: How long do signs/materials need to last? Budget and use considerations. Expectations: Be thorough in considering all of your needs, make sure you and print partner are on the same page. This case study illustrates how we can combine the permanent and temporary solutions using interchangeable elements. It's a perfect example of beautiful signage that can easily be moved anywhere in your restaurant or store. How did we do it? Read Easy-Install Graphics Systems and 3D Prototyping. Menus are always changing, and you should be using a graphics system that empowers employees of any skill level to swap them out. Use a graphics system that can be altered easily, and consider using low-adhesive, temporary graphics to draw attention to promotions or discounts. With vinyl lettering, the possibilities are limited only by your imagination. The material can be applied to virtually any flat surface—a wall, table, door, etc. Place a bold, creative message on a wall and add atmosphere with color, wording and placement. This solution is not a large investment. Perfect for a seasonal promotion, you can easily remove the graphics and change up your messaging anytime you like. 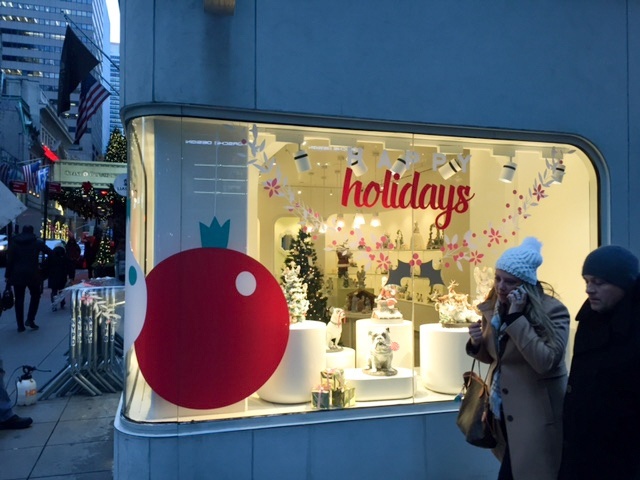 Your storefront windows are the perfect spot for seasonal promotions and temporary graphics. 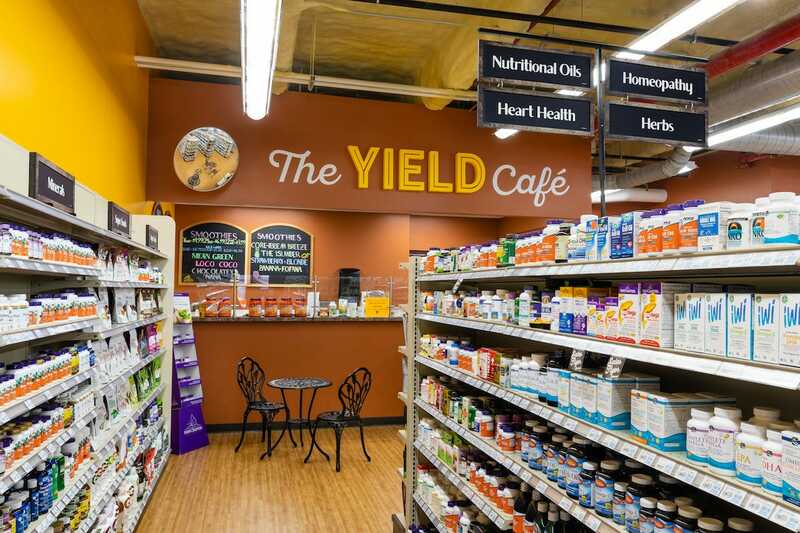 The use of smaller and/or perforated graphics enable consumers to still see in and others to see out, so they only enhance your space, not obstruct it. Promote a temporary drink special with a standee that can be re-positioned to any of the high traffic areas within your restaurant. Eye catching graphics inspire choices and increase sales! 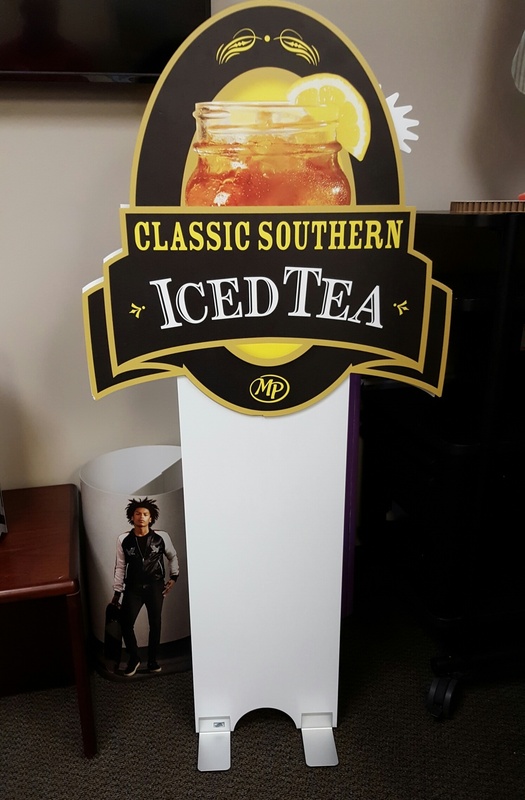 Standees can be made from durable materials that stand up to the test of time and become part of your décor vs. a temporary promotional piece. 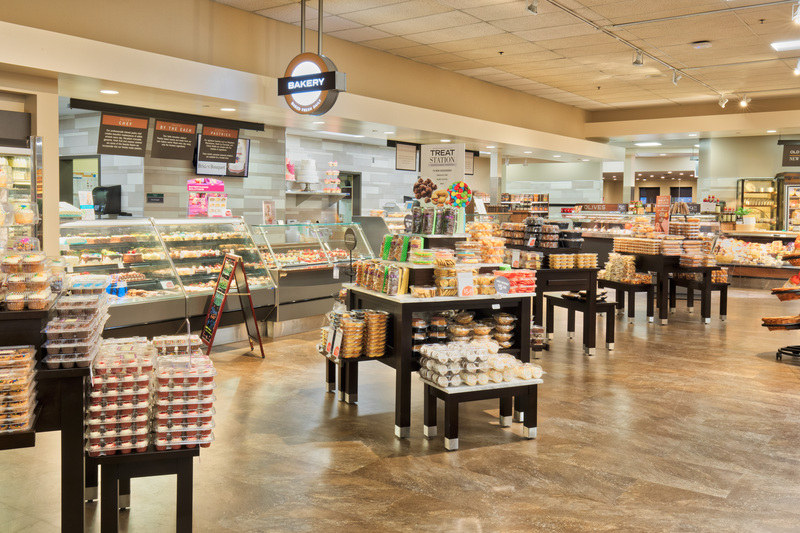 Standees and other moveable signage in this bakery give store managers the flexibility they need to change the layout and highlight a promotional product at any time. 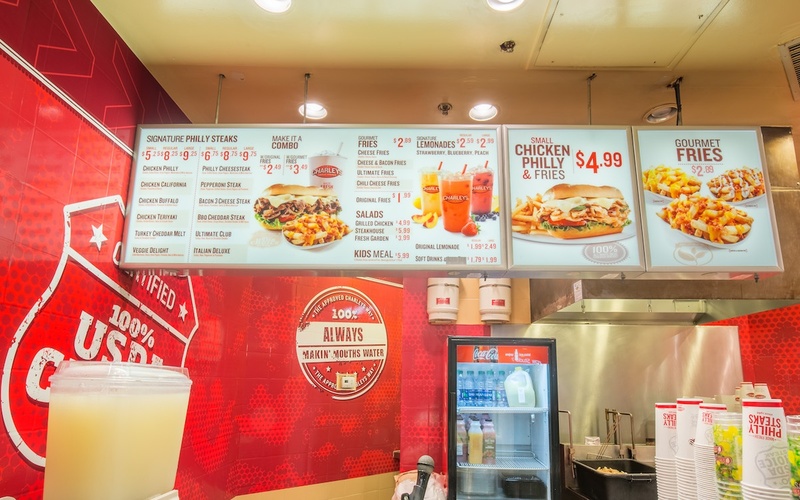 Combining permanent and temporary graphics can help you keep your QSR/Fast Casual Restaurant looking fresh all year long. When you need to update your restaurant décor for the changing seasons, know that you have options. Using these simple décor pieces you'll enjoy many benefits to your QSR/Fast Casual restaurant.